Carl B. Risser was an ambitious young man, and in 1928 at the age of 19 he began his business as Carl B. Risser Poultry, operating from his farm in Lititz, PA. He loved the poultry business and enjoyed the relationships that were formed with the farmers he did business with. Possessing a very entrepreneurial spirit, he quickly developed ideas to increase efficient and effective ways of handling and transporting poultry. Long before poultry was considered a viable means of commercial income for farmers, Carl would visit local farms and purchase small lots of poultry. 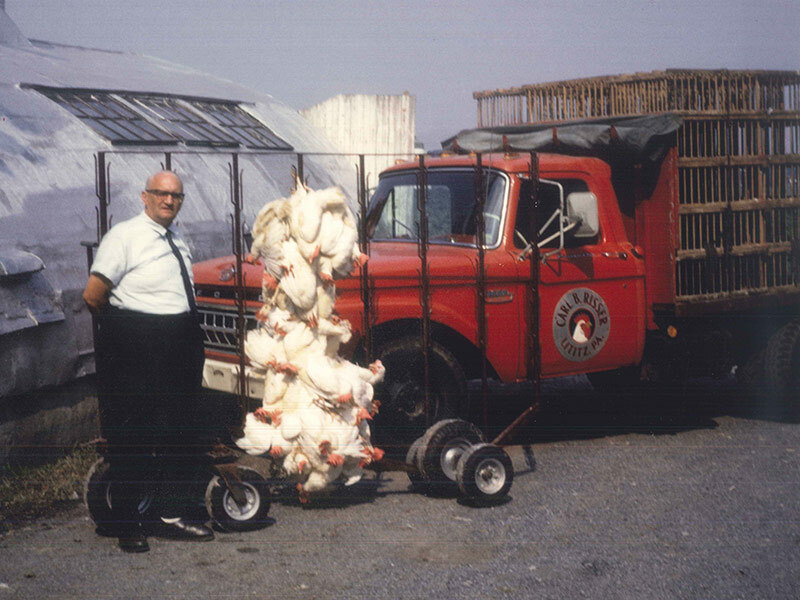 He then brought the poultry back to his farm where he cared for them until he had a full truckload. Deliveries would then be made to live bird markets in Washington D.C., Baltimore, or Philadelphia. 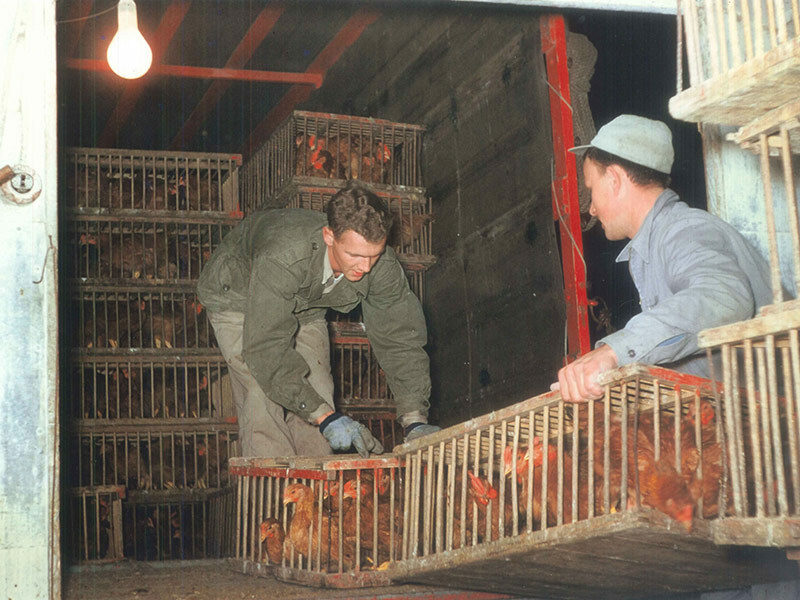 As farmers began recognizing poultry and egg production as a good source of income for their farms, more poultry was available to Carl for purchase and transport. By working hands-on in the business, Carl was able to refine his ideas and in 1967 he invented and patented a cart system for loading hens. This system proved extremely efficient and allowed him to minimize labor and load more chickens per day. The transfer of forward-thinking, relationship-building, and hard-working begins. In 1972, Carl’s son Bill Risser and son-in-law, Mel Herr, who both had been significant contributors to the growth of the business, became partial owners when the business was incorporated and became Risser’s Poultry Inc. Carl could confidently step away with Bill and Mel assuming the management of the company. 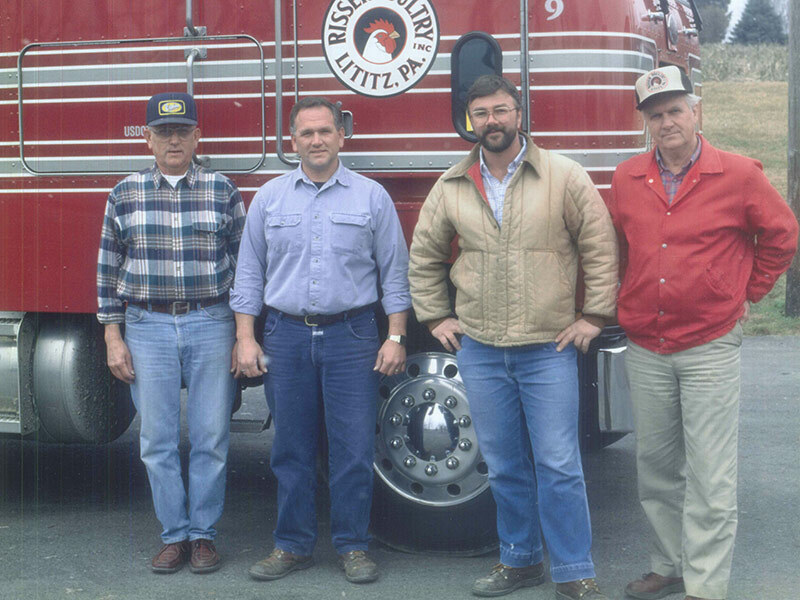 In the early 1990’s, Carl’s grandsons, Jeff Risser and Mike Herr, began taking over management responsibilities and continued the traditional hard-working and customer-serving values while utilizing newer business management models and emerging technology. Risser’s third generation leadership has evolved the company to be very dynamic. Throughout the years, Risser’s Poultry has diversified and has expanded to now encompass other related areas of the poultry industry. Remaining innovative and keeping pace. Risser’s innovation and leadership within the poultry industry have been demonstrated. Employees at Risser’s Poultry receive ongoing training on poultry transportation and handling, bio security, disease recognition, and emergency planning. We remain deeply rooted in our past while always looking toward the future. 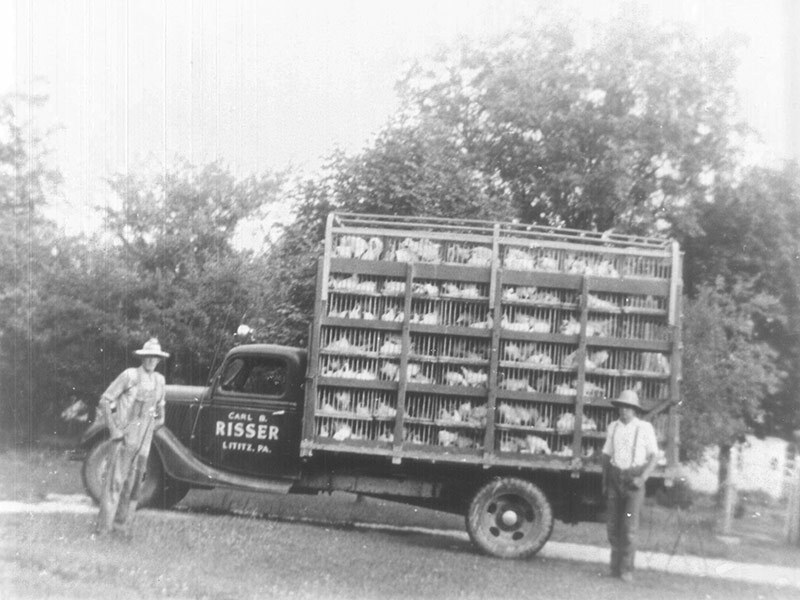 We’re still grounded in the principles and practices started by Carl Risser in 1928, while our operation has very much evolved and expanded to become a full-service company within the poultry industry … not just responding to needs, but anticipating them and leading the way. We believe this is why the next generation is in place and being mentored to lead us into the future. The heart of Risser’s Poultry remains to serve: our team and their families, our customers and their operations, and our industry and its other poultry businesses. To do that best, we are constantly looking to the future to anticipate needs, embrace progressive thinking, initiate even more innovation, and build upon a very strong foundation. What better way to honor our family’s legacy and stewardship of Risser’s Poultry.